Walking from the tram stop to the project location of Foam in Amsterdam Nieuw-West, I already see billboards with portraits of local citizens in an open space that is meant to be full of new houses but will be empty in the coming years because of the economic recession. They all have a positive story to tell that contradicts the stereotypical expectations. Just before entering the Confucius square where I'm going to visit a new exhibition, my eyes are pulled towards another series of huge photographs of people from the neighborhood hanging in the windows. It is obvious that there is something exciting is happening. I'm very curious to visit 'West Side Stories', as this project location is called. It is a very special place where locals from this relatively deprived part of the city get acquainted with the power of photography. 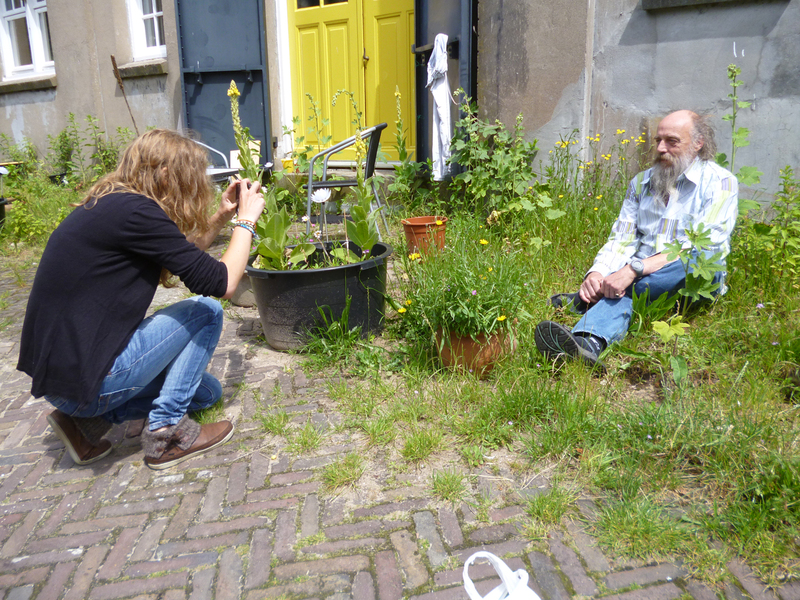 Situated in a shop in a flat that will be demolished in the near future, the combined efforts of housing corporations Ymere, Stadgenoot and foam prove to be a winning combination. 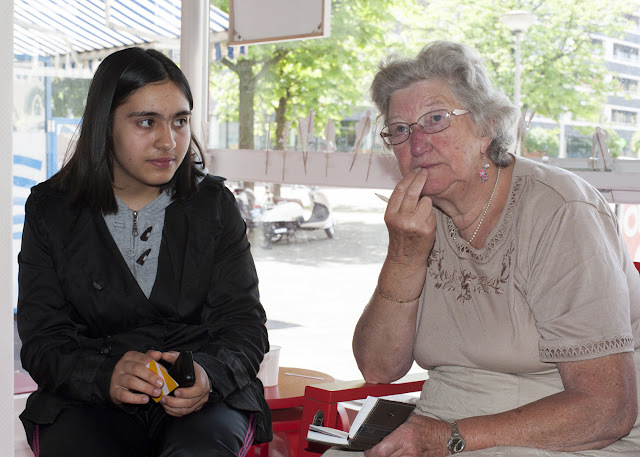 The present exhibition, 'Young and Old in New West', is the result of an inspiring project that fits perfectly in the European Year 2012 of older people and the solidarity between the generations. The year is intended to raise awareness of the contribution that older people make to society. It seeks to encourage policymakers and relevant stakeholders at all levels to take action with the aim of creating better opportunities for active ageing and strengthening solidarity between generations. Young and Old in New West fits perfectly in the spirit of the European Year. The result is stunning. Not only are the photographs very revealing but also the social outcomes are precious. On top of that, this time there is finally some positive news about Amsterdam Nieuw-West on the Internet, in national and local newspapers. 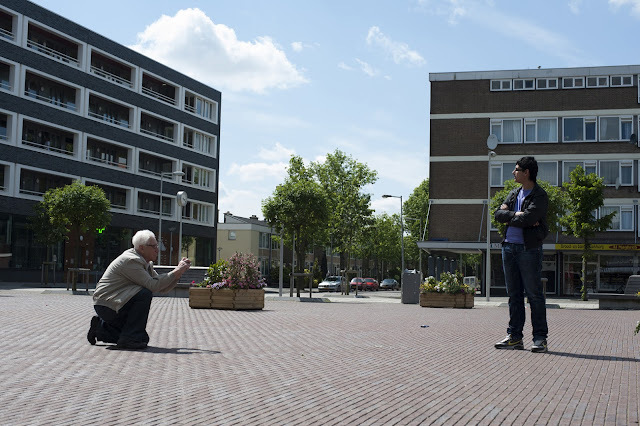 In this project photography is used in a very effective way to stimulate inhabitants to think about the neighbourhood and living with each other. The short soundbites on iPods accompanying the pictures show that that the participants really met each other. The majorities of the youngsters are born in the Netherlands and have parents with a migration background. The older original population in New West consists mainly of Dutch people. For them this was a rare chance to get to know people from a different age group and background that they would otherwise never have met. Amsterdam definitely deserves more project locations like West Side Stories.